-Provide easy-to-read status of the unit and utility power conditions. -Easy recovery from overloads; no need to replace a fuse. 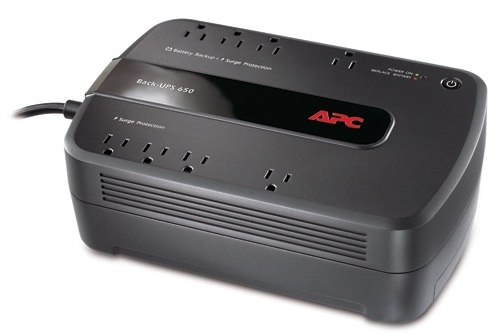 -Provides temporary battery power when the utility power is out. -Warns when a battery is not available to provide backup power. -Provides protection of connected equipment from power surges on the data lines. -Periodic battery self-test ensures early detection of a battery that needs to be replaced. -Provides management of the UPS via a USB port (not available on all models). 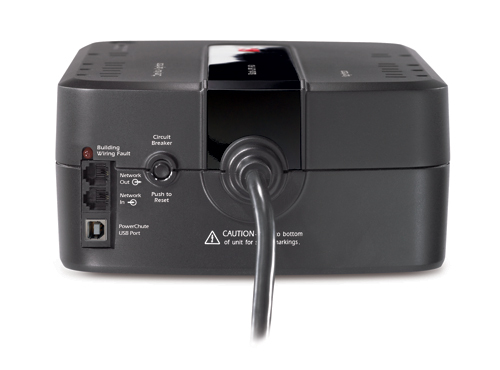 -Protect equipment with input transformer blocks without blocking access to other receptacles. -Maximizes battery performance, life, and reliability through intelligent, precision charging. -Ensures the product has been tested and approved to work safely with the connected service provider equipment and within the specified environment. -Provides peace of mind by providing professional data recovery services in the event data is lost due to the failure of the unit. -Allows quick, easy battery replacement.